Education minister Ruairí Quinn (left) and Bank of Ireland chief executive Richie Boucher (right) launch the bank's new postgraduate loan scheme, with TCD students Conor McGinn and Jade Pollock. THE BODY representing Ireland’s college students have expressed fears that education minister Ruairí Quinn is developing a “two-tiered” system of university education, after the minister gave his endorsement to a new private loan scheme for postgraduate students. Quinn has backed a new commercial offering from Bank of Ireland, under which participating students will have the bank pay their tuition fees directly for the duration of their studies. The loan scheme will also see students who had previously qualified for maintenance grants – which have been removed entirely for post-graduate students from this year onward – receive up to €2,000 in loans which will be paid directly to the student. Repayments under the scheme will be interest-only until three months after the student graduates, with capital repayments thereafter at a variable annual interest rate of 10.8 per cent. Quinn welcomed Bank of Ireland’s initiative this morning, saying officials in his Department had “worked closely with the bank and the NTMA on this loan scheme”. The minister said he hoped students “who were concerned about meeting the costs of post graduate studies will now be able to access these loans”. The Union of Students in Ireland, however, was critical of the scheme – raising fears that most students would not qualify for the loans as it would be their own credit history, and not that of their parents, which was being taken into account when loan applications were being decided. Because many students made heavy used of overdrafts or credit cards while they were in an undergraduate programme, it said, only students who were already relatively well-off would qualify for any loans – which it fears will become a long-term alternative to central government funding. “Last year, Minister Quinn made it all but impossible for thousands of Irish students to attain a postgraduate qualification when he removed the postgraduate maintenance grant,” USI president John Logue said. “This is patently a scheme that will only help students who are already in a comfortable financial state,” he added. Email “Students fear 'two-tiered' college system as Quinn endorses loan scheme”. 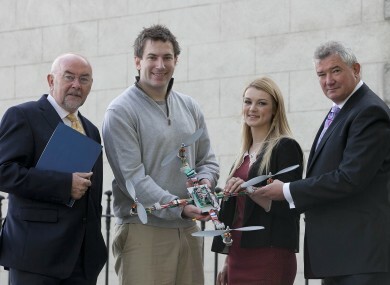 Feedback on “Students fear 'two-tiered' college system as Quinn endorses loan scheme”.